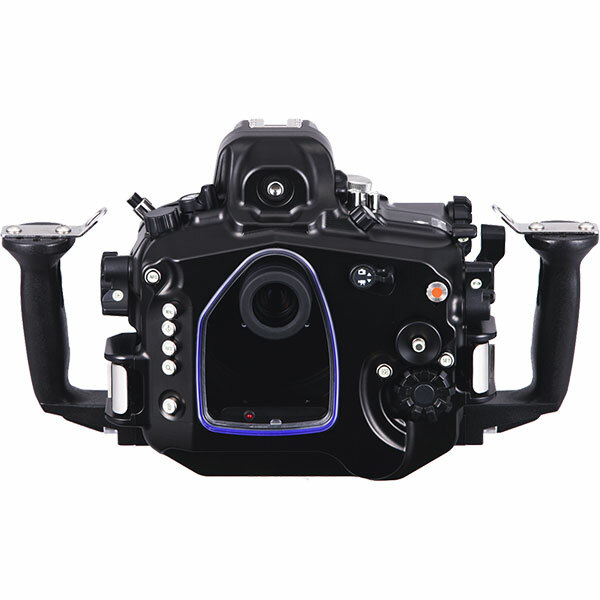 The new MDX-7D Mark II, for the Canon EOS 7D Mark II, has newly designed controls and is compatible with the Optical YS Converter. Compatible with new Optical YS Converter/C2 for MDX housing which converts the camera’s hot-shoeTTL signal to a light signal. Both TTL and manual strobe modes can be used and controlled from the housing using a Fiber-Optic Cable II. Major controls, including levers and buttons, will glow in dark conditions. The camera's diopter adjustment dial can be operated from the housing. This feature is effective when two or more people (with different eyesight) use the housing. When the focus/zoom dial is pulled out, the gear inside the housing will move outward allowing for lenses with large diameters to be easily mounted. The main dial, quick control dial, diopter adjustment dial and live view/movie lever have a spring-loaded damper to provide secure operation. (Camera controls will not slip because of the dampers). 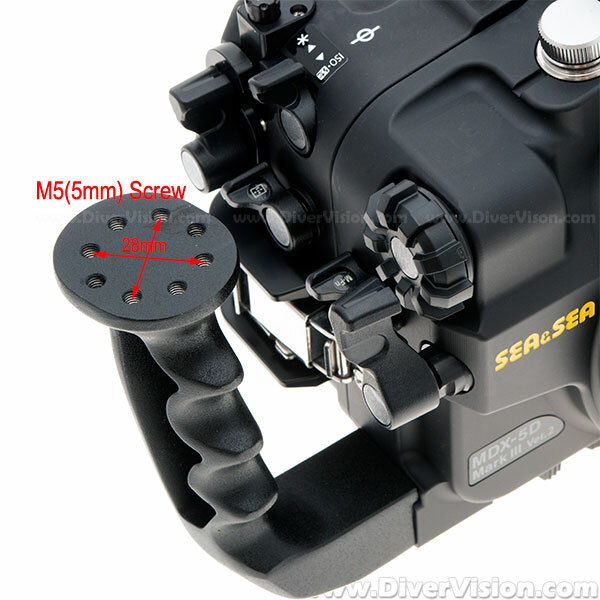 The shutter sensitivity can be adjusted by changing the location of the adjust plate. Equipped with two fiber-optic cable sockets. The housing has two accessory ports. One is designed for N-type strobe connector and the other one is designed for HDMI output. The camera's lens-lock release button is accessible from the outside of the housing. The mounting screw hole is located on the centre underside of the housing. Equipped with two sacrificial zinc diodes (one on the front case and the other on the rear) to avoid electrolysis damage. 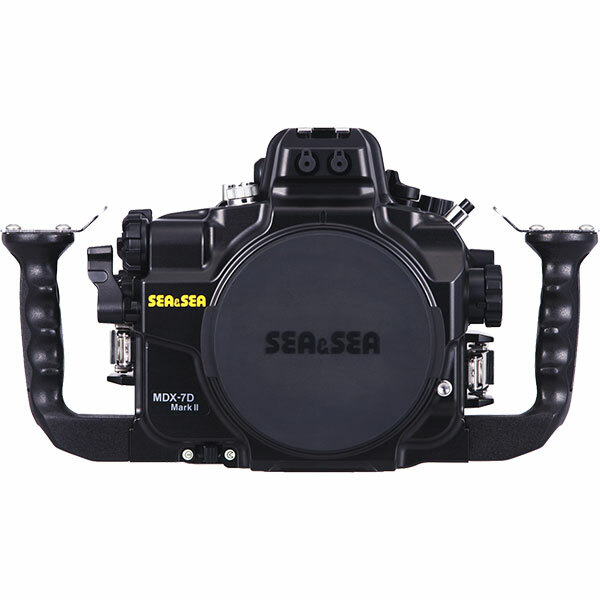 A depth rating of 100m / 330ft makes the housing ideal for tech diving. Internal Flash No, trigger external Strobe only. * Please refer to accessories. Grip: corrosion-resistant die-cast aluminum alloy. *3 for FULL Frame camera, it may be necessary to remove the dome shades at the widest picture angle so they do not appear in the images. *4:Either the zoom gear or the focus gear can be mounted on the lens. When the zoom gear is used, manual focus is not possible. When the focus gear is used, the zoom gear cannot be used.